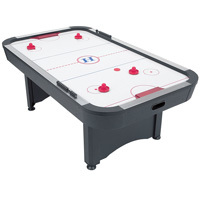 We are able to offer you a great deal on a superb range of Air Hockey Tables Game made by BCE Ltd. We can supply any product offered by BCE Ltd to all our visitors. Do you remember playing the air hockey game in the amusement arcades on the coast ? 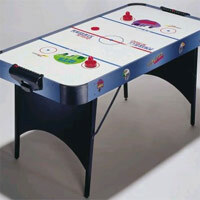 Whatever your motives you can be assured that an air hockey table from BCE will bring years of fun and excitement. 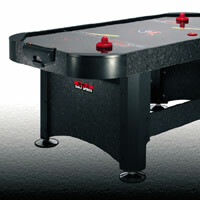 BCE are the leading supplier of air hockey tables in Europe. Their portfolio ranges from air hockey tables, to pool tables, cues, cases, clam packaged accessories, to the World famous Westbury snooker table used continuously from 1982-1992 for all World professional televised events. 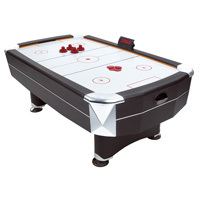 During the past three years BCE have invested in the development of quality home tables (BCE Table Sports 2000 series), ranging from snooker and pool to mini soccer, to the latest air hockey game. Sales of this product group have doubled over the last three years since their introduction. With over 15 years of experience in the supply of games & sports equipment such as table football tables and air hockey tables, Mightymast Leisure has become synonymous with providing quality & innovative products to both the retail & trade sectors. Although the range has expanded over the years, the core of the business still lies with the manufacture & supply of table football games and air hockey tables - making the company the largest supplier of this type of product in the UK & Ireland. This large sturdy black table will look impressive in any child's bedroom. With independent leg levellers it can be set up just right to give neither side the advantage. It comes with the pucks and goalies needed for some good old fashioned fun for all the family. This blue / grey table is great value for money. Although at a very affordable price this table delivers all the fun and feel of a real arcade machine. It's 240v electric motor is more than sufficient to allow the puck to float, or in some cases fly ! around the table. Great fun for all the family. The ultimate air hockey table. This superb full-size 7ft x 4ft Vortex air hockey table is built to last. It comes with a matt black exterior, the edges are finished in chrome and the pitch has a transparent ice-like effect surface that gives fast and smooth action. Accommodates 2-4 players. Bring a touch of the games arcade to your home or office with the superb full-size 7ft x 4ft Hurricane air hockey table. Built to last with a matt black exterior, the edges are finished in chrome and the pitch has a transparent ice-like effect surface that gives fast and smooth action. Accommodating 2-4 players.